Welcome to my doTERRA team/downline! As an added blessing to you, you get FREE membership here on my Land of Havilah Learning Center website! 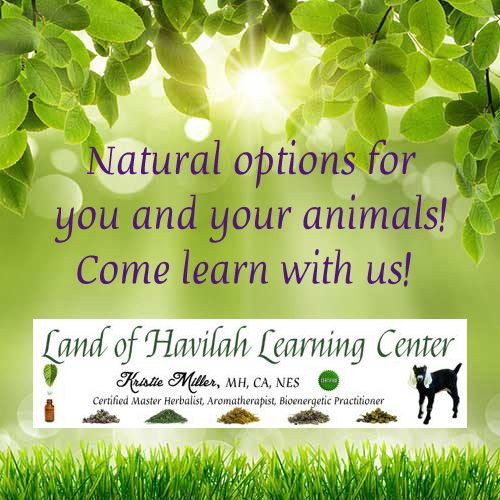 This includes classes on using herbs and essential oils for yourself, your family, and your animals! As an additional blessing, all members who enrolled with 100 PV or more (all kits qualify) get a free 30 days in our DT – Plus LRP Club level (aka Platinum)! After that time you will move to the highest free level available to you – so no worries about being charged at any point! We have three tiers of free membership provided to my doTERRA team & downline. Click on Apply Now on the appropriate level. PLEASE NOTE: The memberships are Password Protected to make sure only our team has access to the free levels, so you will need to contact me for the password for the level you need. The Plus Learning Package is $15 initial cost, then $9.99/month! It is yours free for being a member of our doTERRA team! The Premium Learning Package is $30 initial cost, then $20/month! It is yours FREE while you are on doTERRA's Loyalty Rewards Program! Access to this level is exclusive to team members that are currently on doTERRA's Loyalty Rewards Program (LRP). If you aren't sure what this is, contact your doTERRA enroller for details. The Platinum Learning Package is $75 initial cost, then $50/month! It is yours FREE while you are on doTERRA's Loyalty Rewards Program with an order of at least 100 PV each month! Access to this level is exclusive to team members who are currently on doTERRA's Loyalty Rewards Program (LRP) of at least 100 PV or more each month. If you aren't sure what this is, contact your doTERRA enroller for details.